In May of 2017 we lost one of the most unique, distinctive, and game-changing voices in rock with the passing of Chris Cornell. We were lucky enough to get to know Chris during the 1996 Lollapalooza tour with Soundgarden and we were honored to call him a friend and an inspiration. So, of course, we jumped at the chance to be a part of an amazing tribute concert taking place Los Angeles at The Forum on January 16, 2019. Hitting the stage that night will be members of the bands that Chris was a part of with Soundgarden, Audioslave, and Temple of the Dog all in the house. The evening will be hosted by Jimmy Kimmel and also feature performances from the Foo Fighters and Ryan Adams, along with other special guests. In keeping with Chris and his family's vision for a better world, the evening will benefit the Chris and Vicky Cornell Foundation as well as The Epidermolysis Bullosa Medical Research Foundation, a nonprofit dedicated to raising funds and awareness for this painful and debilitating genetic disorder. This was one of the causes that Chris cared deeply about and supported through his commitment to helping others. Tickets go on sale through Ticketmaster this Friday, November 16th at 10 AM PT. 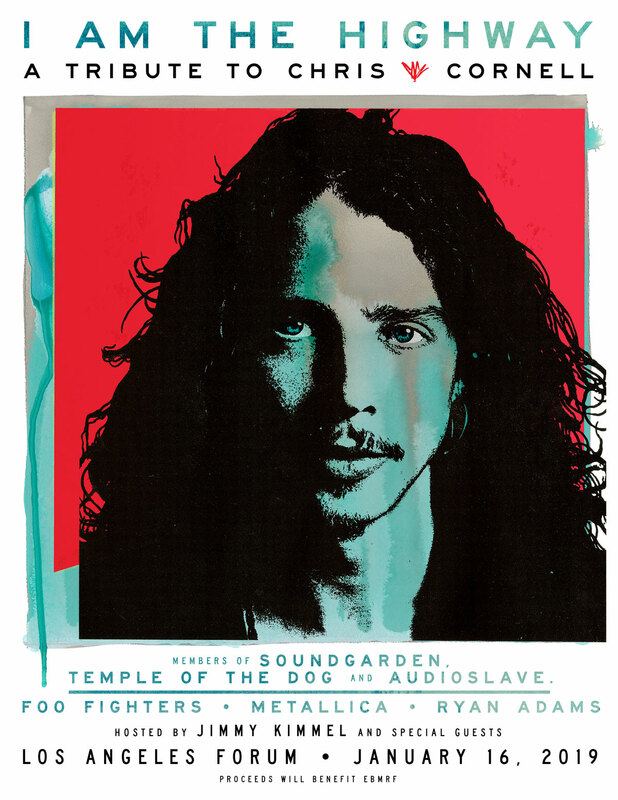 Each ticket purchased online for the show will include a copy of Cornell’s self-titled career retrospective album. Visit ChrisCornell.com for additional details. Join us as we pay tribute to a true one-of-a-kind talent.